Weidmuller is successively developing the open, individually scalable automation solution toolbox, u-mation. This allows digital transformation to be achieved independently of any platform. At the core of this system is u-control, Weidmuller’s innovative IoT controller. The benefit is that its integrated, web-based engineering tool, u-create requires only a HTML5 browser for programming in accordance with IEC 61131-3, allowing machine access from anywhere and with any end device. In addition, the open web technologies enable freedom of choice with regard to devices and operating systems. Individual requirements can be loaded as additional software onto the controller via an app. Developed according to the principle of ‘security by design’, the system is reliably protected against external access. As an interface between u-control and the field level, Weidmuller offers the popular, modular I/O system, u-remote. Fieldbus couplers for the most common bus and communication systems, as well as safety modules, provide solutions for a large number of applications. 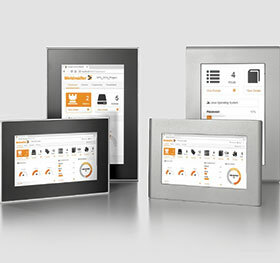 Weidmuller’s intuitive u-view multi-touch panels ensure optimal visualisation based on web technology. Industrial security routers and IoT gateways can be used to ensure secure channels of communication within the factory and into the cloud. Robust industry PCs round off the high performance automation solution toolbox. The elements of u-mation: u-control, u-create, u-remote and u-view – are all perfectly coordinated, offering maximum flexibility together with the capability to develop perfectly tailored automation solutions.